Following their 2017 release, Mind is a Mountain (produced by Son Little), The Get Ahead sought to further synthesize the project with a unified spirit with their April 2019 release, Deepest Light (produced by Raymond Richards). 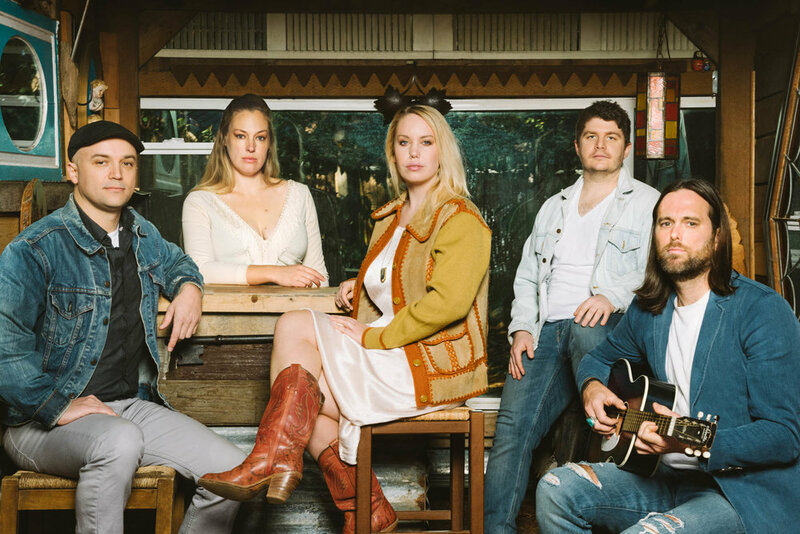 The Get Ahead has cemented their ties in literal ways during the making of Deepest Light, as the band’s lead singers Nathan and Juliet were married on the Oregon Coast and recently welcomed a new baby to their world. From its striking cover art featuring a female deity in an idyllic Northwestern forest setting to its bold musical statements on the celebration of life, healing, and the importance of keeping open hearts, Deepest Light is a moving milestone from a band that continues to grow and to develop a powerful group identity. Deepest Light represents an amalgam of American Roots music and features the bands invigorating three-part harmonies and moving lyricism. Portland band The Get Ahead is a close-knit group of musicians. They're five close friends, including two couples—one of which just became new parents. It's really like one big musical family. The band's upcoming album, "Deepest Light," features vocalist Juliet Howard on the cover in the midst of her pregnancy. The band says the art was meant to "celebrate the glorious and magical creative power of women." While some told the group that the cover might deter some listeners, the band didn't shy away. "Deepest Light" is a record meant to cover everything life has to offer. The work of Portland, Oregon neo-Americana outfit The Get Ahead is happily free of any specific musical allegiance. The band was formed in 2012 through a mutual affection for classic soul, gospel, and R&B music, with each member bringing a complex but welcoming rhythmic history to the group. As they developed their sound, they began to incorporate folk and pop inspirations into an already intricate mix of influences. The resulting sound is as introspective as it is prone to inspire spontaneous bouts of dancing. The Roots of The Get Ahead take hold in Portland, Oregon as the band blend a stew of American music, stirring Rhythm and Blues, Soul, and Rock’n’Roll into “Mind is a Mountain”. The tune is the title track from their upcoming (October 13, 2017) release.